Cheap Solar Powered String Lights have Fun in the Sun !!! Need Fairy Lights that don't cost the earth? Welcome to the Incredible Value Range of Cheap Outdoor Solar String Lights, practical fairy lights that will provide great fun and enjoyment for the whole family all summer long. 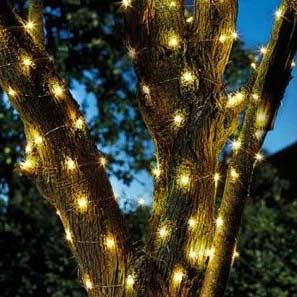 Wrap Solar Fairy Lights on trees and bushes with ease, enjoy Lights on Parasols and Fences, add magical Led Strings to Your Garden and have Twinkling Lights All Night in summer. Our Solar Lights are a cost-effective outdoor lighting solution & a practical Alternative to Mains.